Photo 079. Bismarck under Construction. 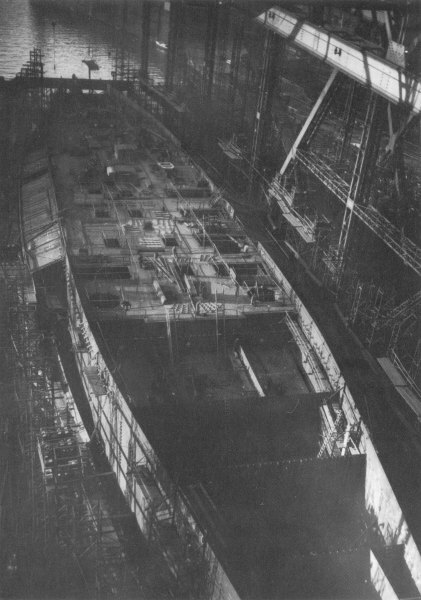 The Bismarck under construction on slipway 9 at the Blohm & Voss Shipyard in Hamburg. Note the side sloped armor being attached to the torpedo bulkhead. This photo was taken in October 1937.